HP RDX+ USB 3.0 Powered. No External Power Cord Needed. 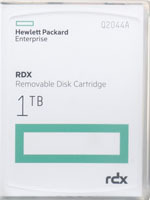 HP RDX+ is the ideal choice for businesses that need simple, fast and reliable backup for workstations and small servers. 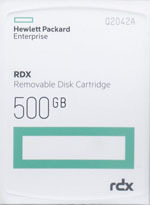 Trust your team to finish the project and HP RDX+ to keep it safe once they do. 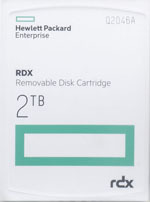 HP RDX+ requires no separate power sources as it is USB power capable, which means it can be used anywhere in the field. 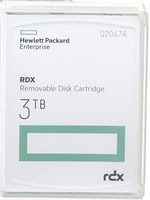 500GB up to 3TB Capacity Cartridges for every size of server or workstation. Backup data at super fast hard drive speeds via USB 3.0 up to 360GB/hr (uncompressed). Drag and drop file access for maximum simplicity.